Tuna and Gyro — Patricia H. Ladew Foundation, Inc.
Tuna, Gyro and their family were a hot mess when they first came to us. We nursed them all back to health, Reuben had eye surgery and found homes for Reuben and Pastrami. Tuna and Gyro are bonded and we searched for someone to adopt these two sweet brothers. They originally found a home at our Clear The Shelters on 8/18/2018, but were returned a few months later because the resident cats did not get along. The owner was heartbroken to return them. They are extremely loving and affectionate brothers and would be great with kids! 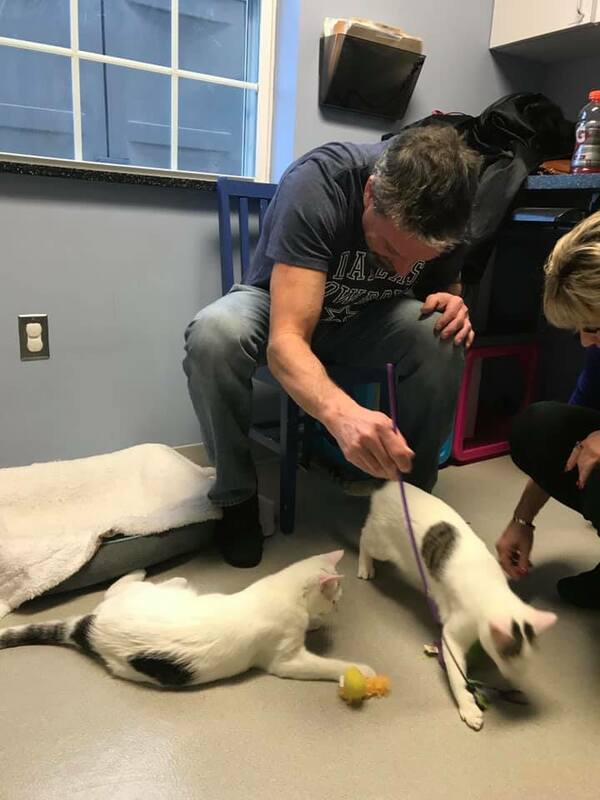 Tuna and Gyro were adopted on 12/30/2018 — What a great way to spend New Year’s Eve — together with their new dad!